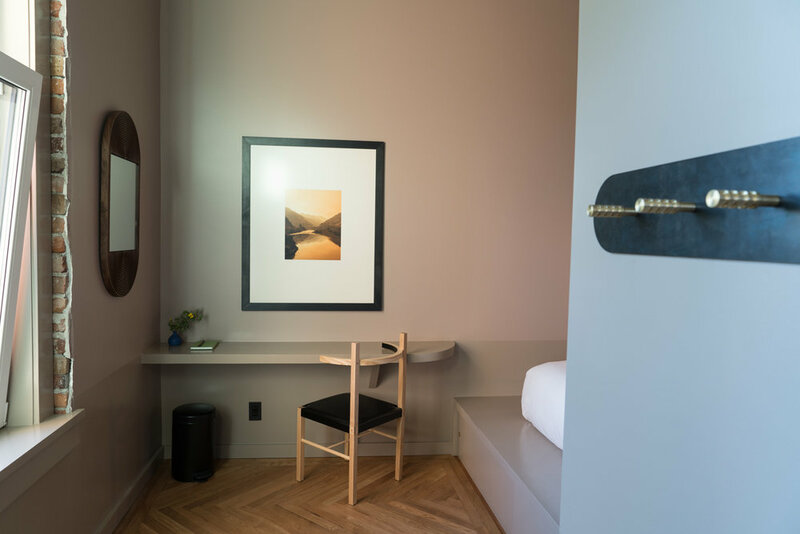 Thoughtfully considered touches create an oasis of tranquility in the petite proportions of room one. From the bed nook to the built-in desk, designer John Sorensen-Jolink made a space most graceful from 120 sq/ft. Whether you're enjoying the pleasing heft of its custom dimmer knobs or lolling on the bed in soft northern light, room 1 won't disappoint.